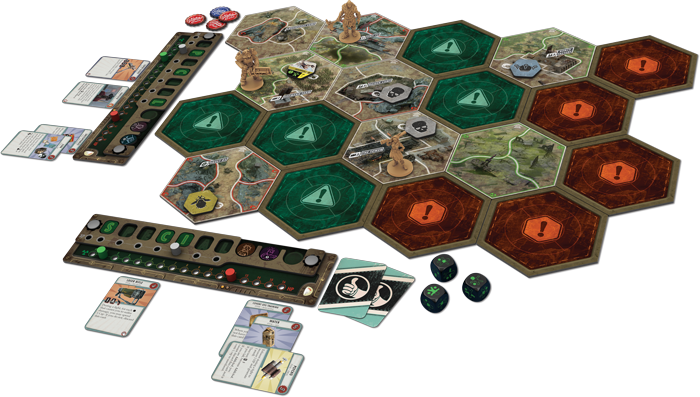 Fantasy Flight Games is proud to announce Fallout, a post-nuclear adventure board game based on Bethesda’s blockbuster video game series. In Fallout, one to four players take on a role within an irradiated landscape inspired by those in Fallout 3, Fallout 4, and their downloadable content expansions. With just a few locations pinpointed on their map, the players choose whether to work together or individually to explore these mysterious regions that lay before them. Along the way, each player will face a wealth of choices, deciding whether to pursue experience or Caps, collect loot or loyal companions, and progress the main questline or veer off to the vaults. 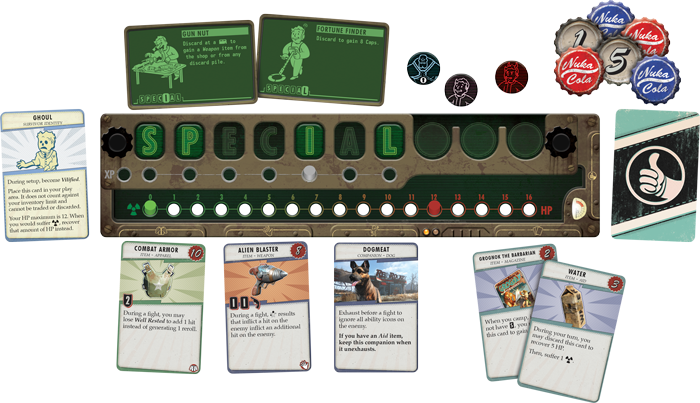 As the players move around the board, building their skills and filling their inventory, the area’s warring factions will gain power, forcing the players to pledge loyalty or defy conformity, all in pursuit of gaining the most influence of anyone else in the wasteland. Players can pick anyone from a Wastelander to a Ghoul and use their abilities to best survive the Wasteland with weapons, companions, and all sorts of adventures to have along the way. The game is set to release Q4 of 2017, and we'll likely be playing it at Gen Con, so be sure to stay tuned for our coverage of the game next week!